As I sit here thinking about what to write, I am lamenting the unofficial end of summer. How did Labor Day arrive so quickly?? Three days left of doing whatever I please and having not a care (or not too many, anyway) in the world. School starts again on Tuesday and that means back to crazy schedules, taxiing kids to their schools and activities, lesson planning, grading, and other not-so-fun things! Allow me this moment: WAH!!!!!! Okay, now that I got that out of my system…the good news is that with all that routine comes a return to my writing. Summer is filled with laziness and lots of mindless television watching with the occasional foray into a good book, but fall brings back the more academic Christina, who is more inclined to read and write than her idle summer counterpart. Likewise, “The Art of Love” is in the works, albeit moving slowly. Once “Hidden” is at the printer, I can really focus my attention on it, so check back for more updates on that. 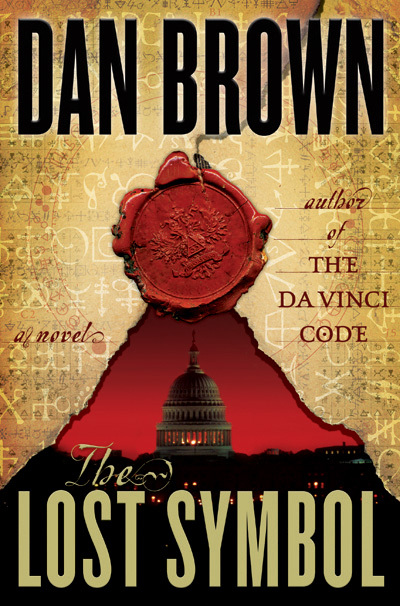 “The Lost Symbol”, the latest sequel to “Angels & Demons” and “The DaVinci Code” was pretty typical Dan Brown fare, full of murder, mayhem, and unexpected plot twists. It was definitely worth the read and is a breeze to get through. Buy it on Amazon.com for an enjoyable rainy fall weekend read. On the other hand, “Dead in the Family”, book ten in the Southern Vampire series by Charlaine Harris, was absolutely awesome! I simply could not put it down, finishing all 311 pages in a mere 24-hour period. Perhaps it is due to my obsession with all things vampire/werewolf related or maybe my profound adoration for HBO’s “True Blood” series based on the books, but I just loved this book. Get over to Amazon.com and get your copy today – you won’t be disappointed! Well, my latest read, Audrey Niffenegger‘s “The Time Traveler’s Wife” is beckoning, so off I go to read a bit before I zonk out for the night!